How do I redeem a "Buy Now, Pick Later" Course Reservation or credit? To redeem a “Buy Now, Pick Later” Course Reservation, please visit https://myfunscience.com/contact-us/redeem-course/. We typically process an order within 24 hours. All orders are verified before redemptions are complete. How fast does our internet need to be to participate in online courses? We recommend you have download speeds of at least 3-5 mbps and upload speeds of 1-2 mbps. You may experience delays every now and then during live sessions, but these speeds should be acceptable. Classes are recorded and posted for you to watch. Will online classes work from a mobile or tablet? Adobe Connect has a mobile app allowing you to attend live meetings. There are, however, some limitations including the student experience, chat windows, and possibly other interactive elements. It is recommended to use a Tablet/Mobile device only if your child cannot access a desktop (or laptop) for a particular course. Recordings must be viewed through a desktop computer at this time. Refunds are offered until 90 days prior to the class start dates. Within 90 days before the 3rd class, our policy is to refund 75% of the course price, or offer a class exchange or course voucher. After the 3rd class of the semester, there are no refunds. However, we can offer a class exchange or course voucher. Contact us to exchange one enrolled class for another. Exchanges are subject to availability. We must reserve the right to cancel and refund a course if the class minimums are not met. In this case, you will be offered the choice of a 100% refund, class exchange, or course voucher. How do I get to my classes online? Students login to their live online classrooms through their PowerSchool student management system. You will receive instructions about logging into PSL prior to the start of class. 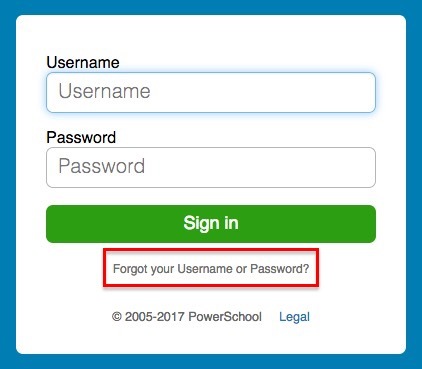 What if I forget my Powerschool username or password? If you forget your Powerschool password, you can use the link on the login screen to retrieve your username and/or password. Each teacher uses the same tools (PowerSchool Learning (PSL) & Adobe Connect) and will communicate with you or your student via email. Your student is not required to have their own email address for general communication. However, if you choose to not provide a student email address, you will be responsible for managing MyFunScience.com communication that relates to your student(s). PLEASE NOTE: Each student WILL need to have a unique email address (you may manage these) to create your students’ PowerSchool Learning account names. We will send more information on this later this year. We know it can be difficult to pay for all your classes up front so we offer the ability to pay monthly via a direct to PayPal subscription over a period of 6 months. Please Note: There is a one time $50 set up fee for the plan (no matter how many courses you order). Once you receive the PayPal monthly payment plan you must pay the initial payment within 3 days to hold your seat reservation. Select the course(s) you wish to reserve and click the “Enroll in this Course” button. Proceed to checkout as you would normally, and then choose the “Request a Payment Plan” radio button under the credit card options. Your seat(s) will be reserved, and we will send you a custom processing invoice that shows the total amount for your order. Then, you will receive a separate PayPal monthly setup which is really easy from there. Just follow PayPal’s instructions. This way the order is tracked, and your seats reserved immediately. Your payments will be charged monthly. If you have a special request, please include your request in the Order Notes area on the Checkout page. We will work with you and look forward to seeing your student in our classes! We offer a 5% discount for military families. Simply place your order and contact us with information showing one of the parents is an active service member. We will refund 5% of your order. Thank you for your service! I have questions about content from a class. Who should I contact? Each teacher has their own contact form on their respective page. If you have a course related question, please contact the teacher directly through their contact form. I am having technical troubles ordering from your site. Who should I contact? Please send a message through our Customer Tech Support form if you are having difficulty with our site. I have general questions about MyFunScience.com's offerings. Who should I contact? Please submit a request through our contact form, and we will be sure to respond to your questions promptly. Will you be adding more courses in the coming months? We are in talks with teachers for multiple new offerings in the coming months and will keep the site up to date. Please make sure to sign up for our newsletter to keep informed. How do you use our email and private information? We do not sell your information – period. We use your contact information to provide teachers with a way to get your students set up for their course(s), to email you important business information, and to send you periodic updates. We will not spam you or use your information in ANY other way except conducting the work of informing YOU and educating your students through MyFunScience.com.